Substance, social commentary, and combative challenges dominate the release of Stronger, a wonderful crossover EP melding together influences of hip hop, house, and electronic. Appealing to an underground audience, Stronger brings together widespread appeal without sacrificing a shred of integrity. 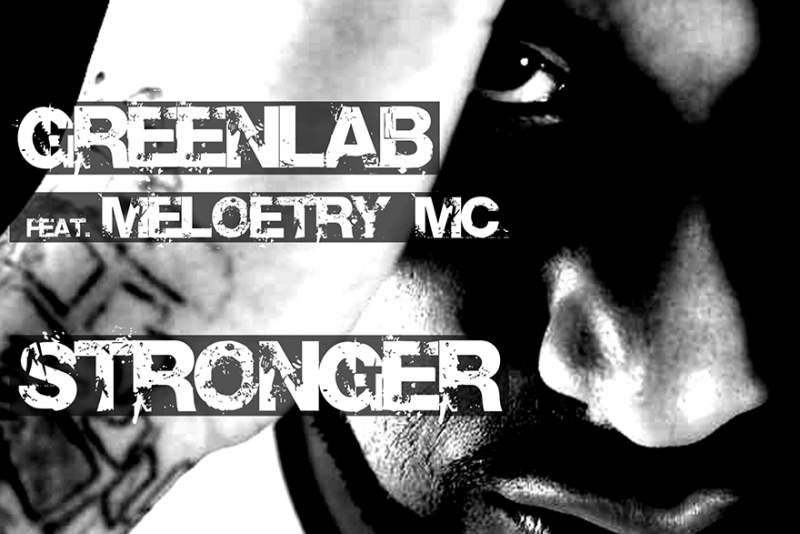 Stronger was produced by Italy’s GreenLab and features strong performances by Meloetry MC and Anthony Poteat. The June, 2017 release of Stronger was overseen by the Montreal-based record label, Funktasy. Among the tracks on Stronger is the title track, a genuine expression and a driving nod to inspiration. Originally formed in 1999, GreenLab is an Italy-based group featuring the talents of Roberto Leprotti (on drums, synths, and programming), Simone Galgano (on synths and programming), and Federico Mazzoli (on bass and synths). Already having worked with international artists across the world and contributing work to a wide array of different labels, the trio specializes in house and electronic music, a fact evident in the construction of Stronger. Musically engaging, this work also features the New York-based Anthony Poteat on the title track and the rap rhythms of Meloetry MC spread across the entirety of the record. Contributing vocals to the production of the hip hop, dance, and trap influences on Stronger, this album marks a strong contribution to the Funktasy catalogue. Among the tracks on Stronger is the title track, a genuine expression and a driving nod to inspiration. Then, there’s Loveslow, a brooding piece that acts as both a lament to artistry and speaking on the sacrifices that one has to make in the pursuit of art. She Got it Going On is a lively, emotive turnaround that acts as a departure from the harder tracks on this collection. Closing out the album, The Border hits a strong, aggressive note, building up and then settling down with a visceral rap sprinkled with anger, tears, and sweat. The success of the 4-song Stronger EP has subsequently inspired an additional 3-track remix collection, containing a trap remix by Squareknot and two drum & bass tracks overseen by Quantyze. These seven tracks continue to build an impressive catalogue, attracting artists and fans passionate about beats and breaks, from across the globe, to Funktasy. Moving away from the basic fare, the Stronger remixes bridge the hip hop/dance divide, seeking solace in abstract experimentation and crafting an emotional brand of remix culture. Across these seven songs, Stronger has spread its wings to subvert the clichés of genres and express something deeper. When done well, music has a power to move audiences. Though aspects of Stronger are autobiographical in nature, the meaning behind the words and production is a universal message of connection. Visit our MUSIC page and listen to the Stronger EP and Remixes album.